Threats from armed groups operating between the borders of Mali and Niger have caused a new wave of displacement in the Tillabéry region of Niger, said Doctors Without Borders. It said more than 8,000 people have been forced to settle in improvised camps without access to clean water or sanitation facilities. The organisation Doctors Without Borders (MSF) denounced that an upsurge in threats from armed groups operating between the borders of Mali and Niger has triggered a wave of displaced people. In a statement, MSF said more than 8,000 people have been forced to settle in improvised camps around the village of Kongokiré, Tillabéry region, Niger, where they live "in appalling conditions, in a zone which is also considered as insecure." 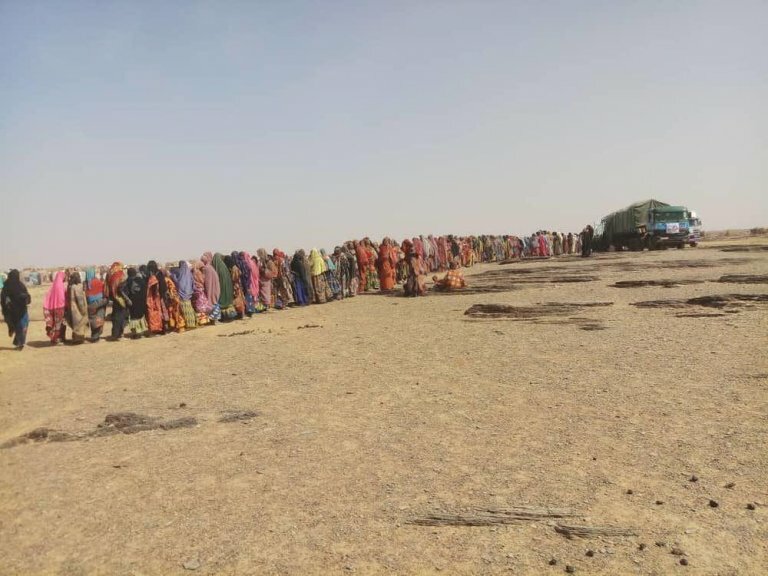 MSF said two informal sites currently host about 10,000 people: Malian refugees who have fled due to mounting insecurity, and internally displaced Nigeriens, most of whom had already been displaced at least twice by persistent threats from armed groups and by difficult living conditions. To respond to this alarming situation, MSF has distributed 1,173 non-food item kits, targeting 8,211 internally displaced people (IDP) and refugees. MSF teams are also building latrines to improve the sanitation conditions in the area. It said it is also running mobile clinics directly in the camps to provide basic medical aid. "Many of the displaced in Kongokiré have already been forced to flee several times," said Innocent Kunywana, coordinator of the MSF rapid emergency response team that is providing aid in the camps. "We can see signs of trauma in their behaviours, and hear them in their words. Many refugees and IDPs say that they cannot envision a return. The situation in the region keeps deteriorating, and as long as there is insecurity, there will be no guarantee of safe return for these people," Kunywana said. "One of the main risks currently faced in the camps is lack of food. If the displacement continues for a while - which is what we expect to happen - this may generate tensions between local populations and the displaced, and even fuel conflicts within the camps," he said. MSF said it is worried that the situation in the region may spiral, as Tillabéry is affected both by the conflict in Mali and the surge of armed groups in Burkina Faso.